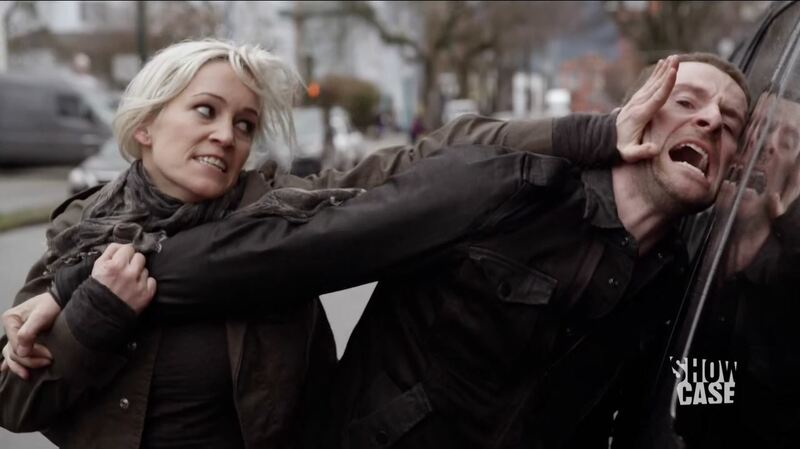 This week’s episode off Continuum brings the story back to 2014 and puts us right back in the action. ‘So Do Our Minutes Hasten’ is a suspenseful episode that at times feels overwhelming. Too many times I kind of lost the plot. The episode in that regards reminds me of some of the weaker episodes from season 2. Nonetheless powerful performances by Victor Webster as Detective Fonnegra and Luvia Petersen Jasmine Garza make up for the downsides. So Do Our Minutes Hasten starts in the 2077 timeline. Kiera (Rachel Nichols) is tasked with arresting her own mother at a free speech gathering. This seems to have a powerful effect on her conscious. In 2014 inspector Dillon is defending the close association of the VPD with Piron live on television against Julian Randol. Afterwards the board of a company called Fermitas is gassed. Dillon blames it on Liber8 but Kiera is unsure. Alec who works for Piron has his own problems, his board member are reluctant to support his products. Kellogg makes use of the situation by allowing Alec’s future son Jason to work for Piron. Meanwhile Betty struggles to earn the confidence of Dillon after her betrayal. Betty finds a lead suggesting that a engineer was hired on the Darknet to construct the gas weapon. Kiera manages to arrest the man with Dillon after unknown parties blow up his house. The man willingly gives leads to Liber8 which raises Kiera’s suspicion that he is a plant. All the while Carlos is delegated to other police tasks. He is tasked with investigating Julian Randol’s connection to a corporate leaker. The woman works for Sonmanto, a company which by Alec’s account is in the process to buy a stake in Fermitas. After Carlos promises the woman he won’t prosecute her for theft of documents she gives a live interview. Her allegations against Sonmanto are later proven false. Julian loses his job as a reporter and Sonmanto is able to play the victim. Only afterwards do Kiera and Carlos think Sonmanto killed the board of Fermitas to try and buy the company. Carlos is further humiliated when his relation with the leaker is revealed. Despite the evidence inspector Dillon does not move to prosecute Sonmanto and instead berates Kiera for not proving it was Liber8. Liber8 connects to Kiera through Garza. She claim that they would never have performed the hit on Fermitas. Kiera reluctantly believes her. Garza previously has beaten up a man who Lucas considered planned the attack on Fermitas for Sonmanto. The man manages to use the situation by planting a bug at the VPD after he reports the assault. After Kiera and Carlos figure hat they can’t go after Sonmanto Kiera reveals to Betty that she spoke to Garza. 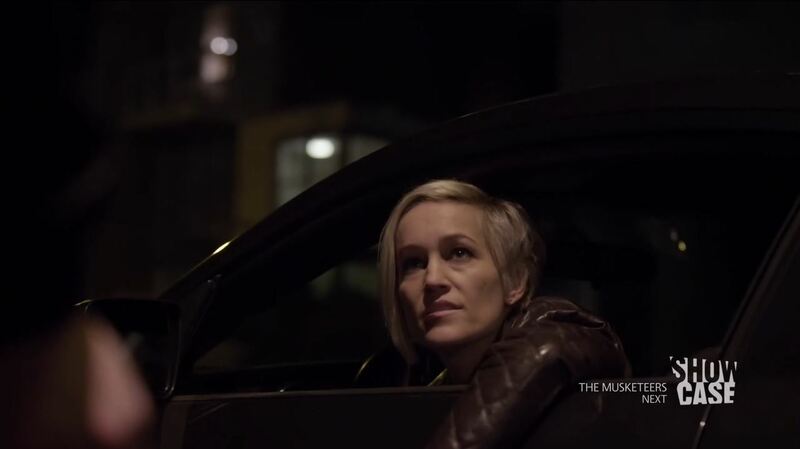 Kiera asks Betty to continue searching for information of Sonmanto’s involvement. Garza meanwhile confronts a defeated Julian. She tells him to man and become the Theseus he was always meant to be. Julian asks what she has to gain with that and she replies she has nothing to gain. Garza tells Julian to take a ride with her. Betty, Carlos and Kiera celebrate their defeat with drinks. 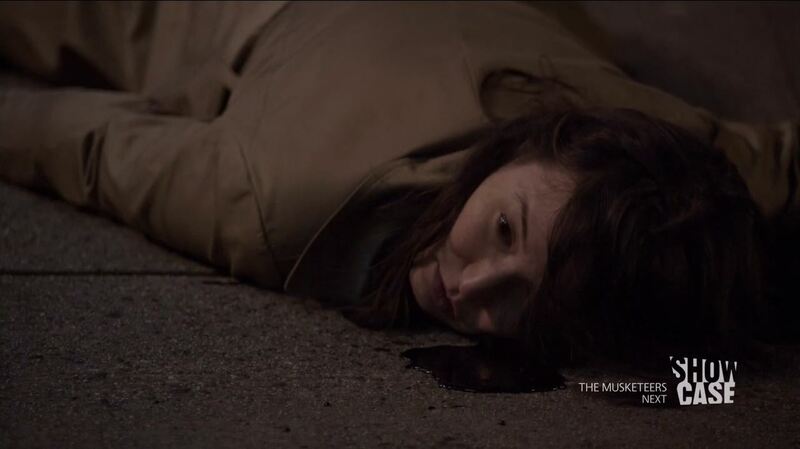 After Betty steps out of the bar to meet an informant she is gunned down by the man Garza beat up. After you have read my brief synopsis you may be think that the episode had a convoluted plot. I certainly thought so, after a while I was totally lost figuring who Sonmanto, Fermitas and the people involved were. It is without a doubt a clever plot but sadly because we hardly know the characters involved it is difficult to get properly invested. Too often plot twists are introduced through the use of Deus Ex Machina story mechanism whereby we think we know what is going on but are surprised when somebody pulls a rabbit out of their hat. The death of Betty was unexpected, though her role was already reduced during season 3. Her death proofs that this show doesn’t fear to kill off characters just when we get to know them. It has happened to both Mr. Escher and Agent Gardiner. Victor Webster manages to shine in this episode by giving us a bit of that season 1 magic. Luvia Petersen’s character Jasmine Garza makes only irregular appearances on continuum but when she does she certainly raises the stakes. At first I thought Garza was just a mindless killer like Chen and Travis, but she has on a occasion shown an unusual sensitive side. During season 2 she gave Alec a chance not to grown up into becoming the villainous old-Alec of 2077. In this episode she gave Julian a second chance after he loses his job. I have no idea what her plans are for him but it will be intriguing to know if the other Liber8 members know about. ‘So Do Our Minutes Hasten’ could have been a fantastic episode, but a convoluted plot filled with twists just means it is a good one. 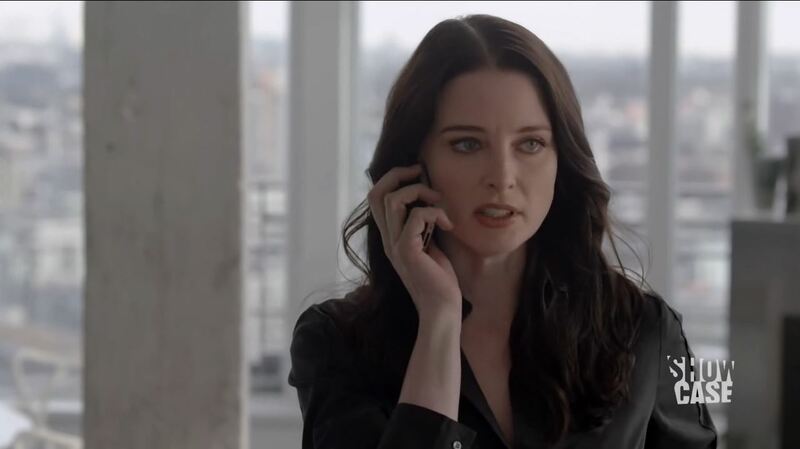 Well, this was the Continuum S3Ep8 So Do Our Minutes Hasten Review. Continuum season 2 starts on Showcase tonight!